Discover The Potential Of Solar Power Installation With SunMaxx's PV Solar Energy Solar Classes. Now is the perfect time to expand your knowledge or solar installations!! 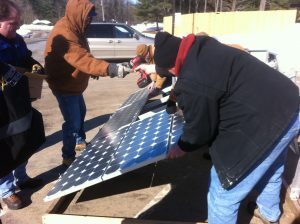 SunMaxx Solar is offering a 4 Day Basic Photovoltaic Installer Course. Our Advanced Photovoltaic courses are geared toward PV installers and engineers who have experience with photovoltaic systems and offer participants an overview of commercial PV systems in a format that combines online learning with a one day classroom session.